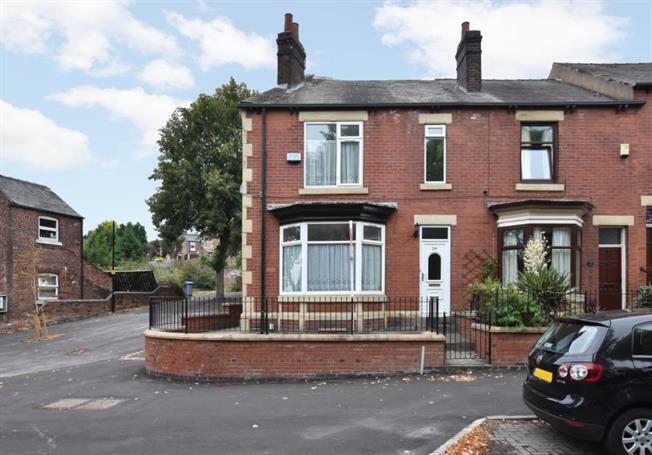 3 Bedroom End of Terrace House For Sale in Sheffield for Guide Price £115,000. Having undergone considerable upgrading including new floor coverings, is this spacious corner end terraced property that offers larger than average space. Having been redecorated throughout and offering no upward chain. Accommodation comprises, Entrance hallway with access to basement cellar, lounge, dining room, kitchen, three bedrooms, one being on the second floor with a separate walk in storage cupboard that also offers potential to convert to another ensuite with the necessary permission and alterations. Family bathroom with white modern suite. Outside courtyards to the front and side with rear garden. The house offers gas central heating with alarm and double glazing. Located within a popular area and close to local schools, shops and easily accessible to the M1 motorway and Meadowhall.